Oh boy! Flaming cars burning across the wide open skies of the Canadian Prairies… why? Well, you’re about to find out! 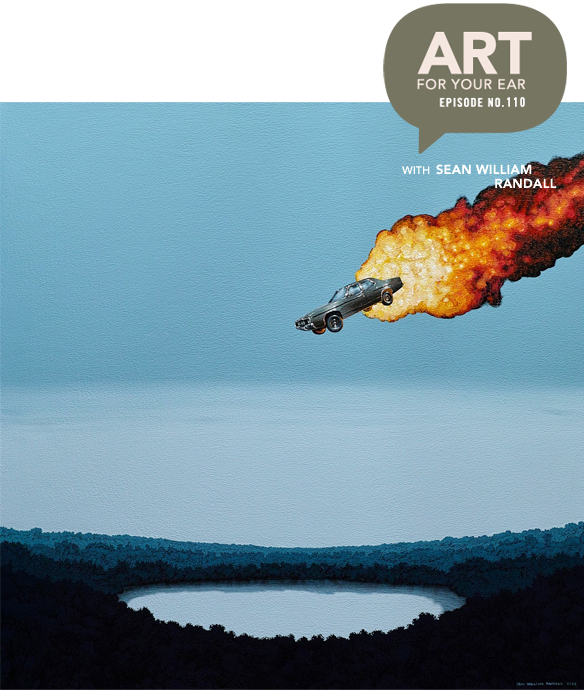 Today I’m talking to Canadian painter Sean William Randall. We’ve been trying to make this happen since August, and today is finally the day! You can listen to our conversation right under that “tranquil” nightscape, or you can subscribe on iTunes. Gorgeous! I had to include closeups of this beautiful beast – the final painting is 48″x60″ but the brushstrokes are so tiny! From across the room it’s hard to believe you’re looking at a painting – only when you get really close up (which I totally did) do you understand it is, in fact, an acrylic painting. Gah! Again, so good! These are all quite big, so pretend you’re standing really close up, taking in all of the detail done with Sean’s teeny tiny brushes. Next, I’ve always thought the paintings from this series would make a great album cover… turns out, they do! 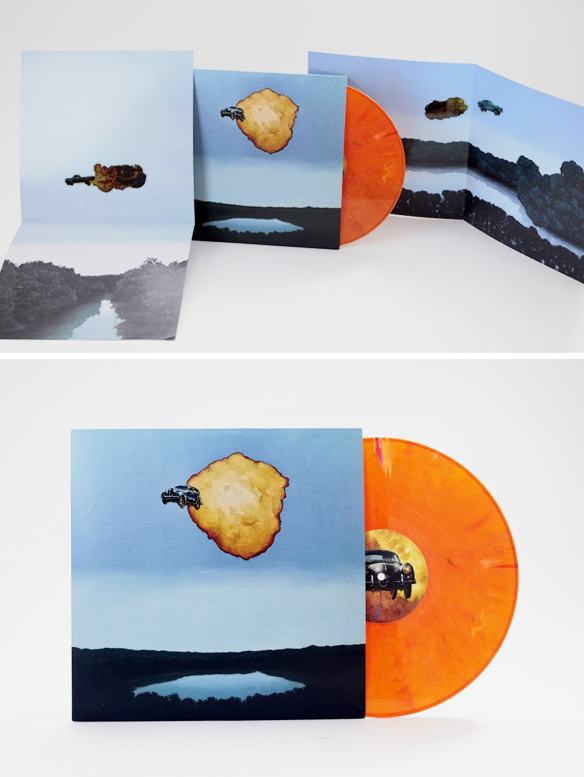 Yes, orange vinyl! This was part of a project Sean did with Vinyl Moon. « lisa congdon, a glorious freedom, AND a giveaway! Those incredible details in the last images..! oh good! you’ll LOVE it in person! Sean’s work is brilliant in person. I remember seeing it at Winnipeg’s Mayberry Gallery a few years back. I can attest to the beauty of the art and his cozy home studio, having visited last Christmas when I was in Regina ti see my family.